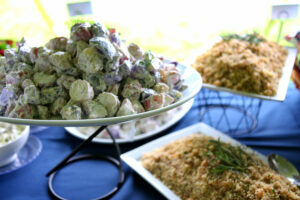 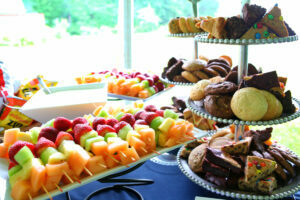 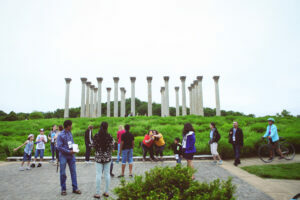 National Arboretum: Perfect Location for Corporate Events and Picnics. 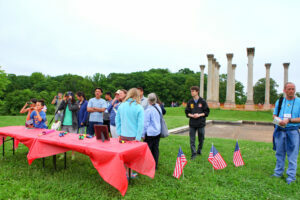 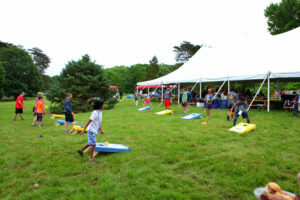 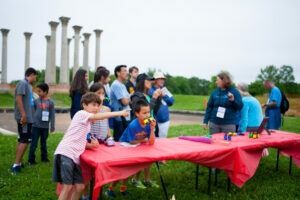 The US National Arboretum was thrilled to host The Scripps National Spelling Bee Kick-off Family BBQ over Memorial Day weekend with a custom-designed Great Arboretum Adventure throughout the its grounds; the perfect DC outdoor venue. 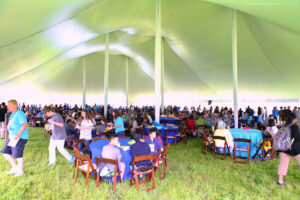 All 1500 Spelling Bee contestants and their families experienced all the beauty, education and fun the grounds have to offer. 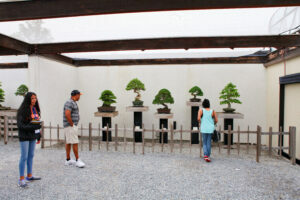 From azaleas to bonsai to rare herbs, MTG designed quite an adventure at the US National Arboretum! 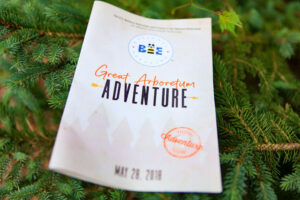 Here are some Adventure highlights from the “BEE”-utiful day! 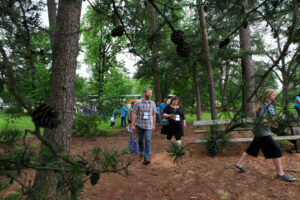 Amid the Grove of State Trees at the southwestern portion of the National Arboretum, the contestants and their families enjoyed the perfect spot for an al fresco lunch. 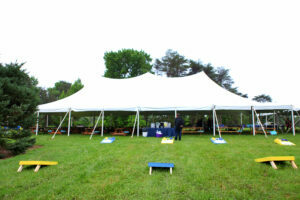 Special thanks to Purple Onion for the delicious catering and Sugar Plum Tent for the fantastic tent! 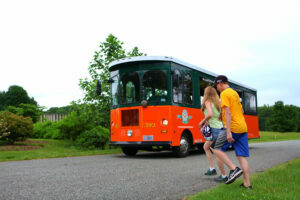 After lunch, families boarded the Old Towne Trolleys to begin their Arboretum Adventure! 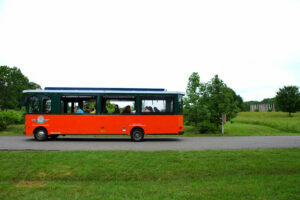 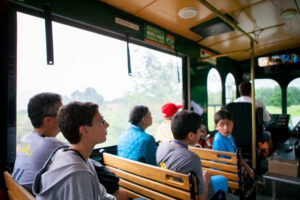 The trolley stopped at 5 Arboretum collections for the families to enjoy an activity at each location. 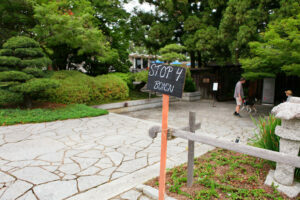 Read on for a description of each “adventure stop” and pictures from the day! 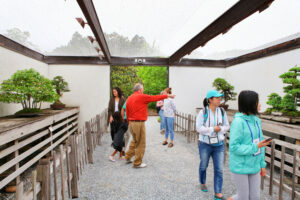 The National Arboretum’s Azalea Collection is considered one of Washington’s premier spring attractions; thousands of azaleas covering the flanks of Mount Hamilton. 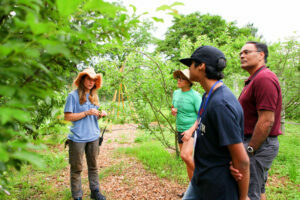 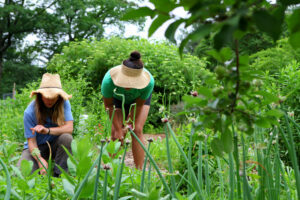 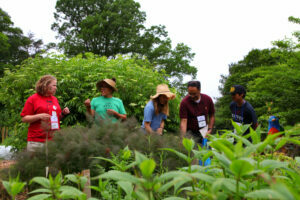 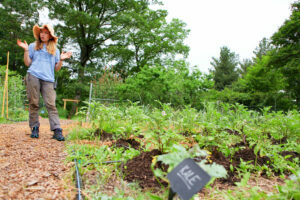 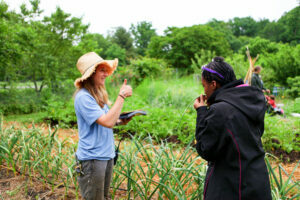 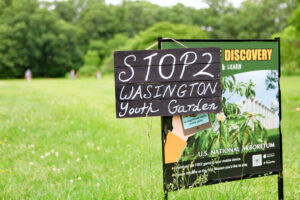 The Washington Youth Garden, supported by the National Arboretum, primarily serves school children and families from northeast Washington. 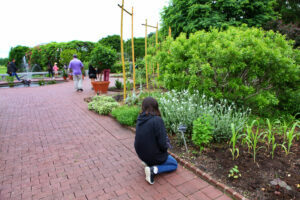 The life cycle of a garden becomes a living tool that enriches science learning, inspires environmental stewardship and cultivates healthy food choices in youth and families. 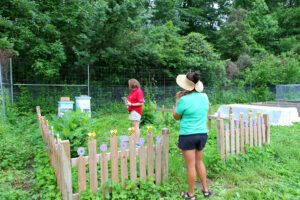 On the day of our Arboretum Adventure, the Garden staff ran hands-on activities in the garden for the Spelling Bee families. 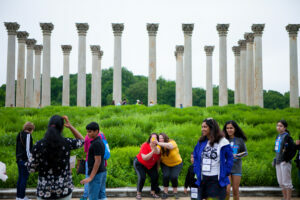 The Spelling Bee kids continued onto the third stop; the National Capitol Columns which is the jewel of the Arboretum. 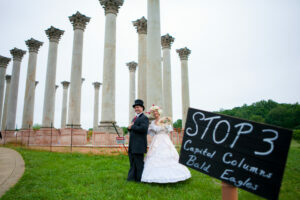 The columns are one of Washington’s most notable and unusual landmarks. 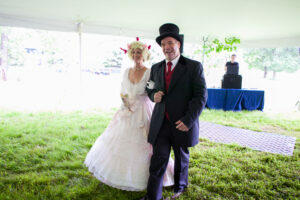 Guests were greeted by docents dressed in 1820’s clothing, reflecting the style of the era in which the columns were originally installed at the brand new US Capitol. 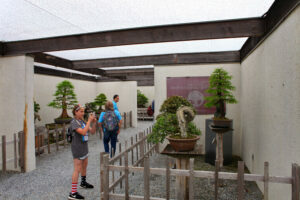 This “can’t miss” feature of the US National Arboretum is home to one of the largest collections of these miniature masterpieces in North America! 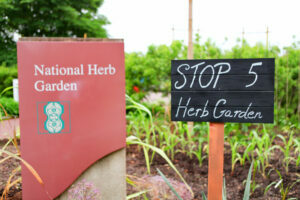 This collection is the largest designed Herb Garden in the US. 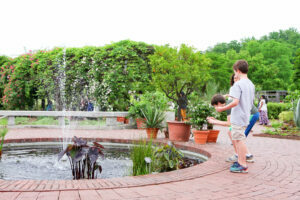 The Spelling Bee kids explored the circular gardens by joining the timeless fun of a scavenger hunt, searching for many of the Garden’s unique herbs: Black Eyed Susan, Tasmanian Bluegum, New Jersey Tea. 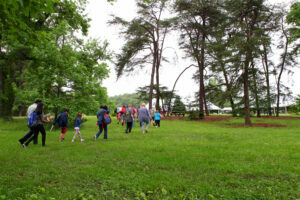 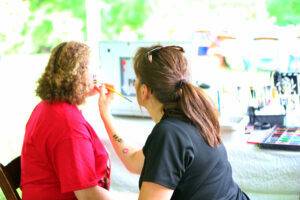 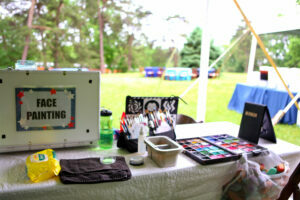 MTG can recreate this Great Arboretum Adventure for your company picnic or family reunion. 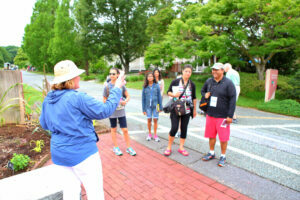 This adventure adds history, science and a truly unique experience to a traditional outdoor event. 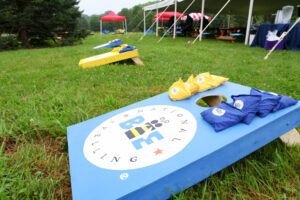 We have dates available for 2019 company picnics.